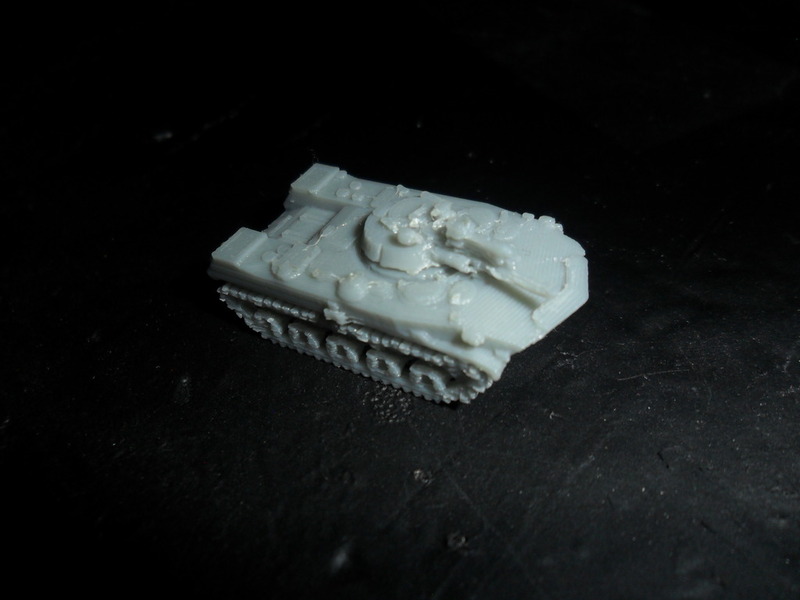 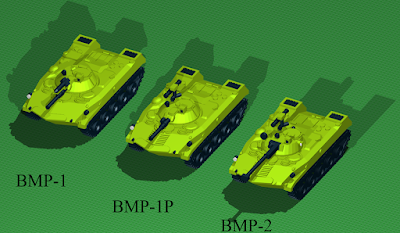 This month, the much-promised BMD-1, along with the BMD-1P and BMD-2 in 144th (10 or 12mm). With a special thanks to UsmanK for help in getting the details for the BMD-1/BMD-1P right! 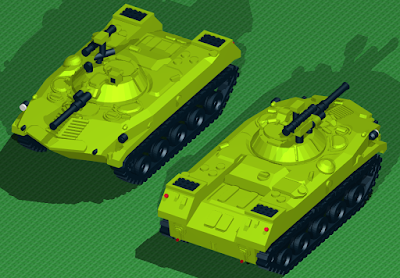 There are two versions of this model; as the BMD-1's turret is literally the same one as the BMP-1's, I have supplied the BMD-1s with both versions to match the BMP-1 versions (for the sake of compatibility with people's existing models). The alternate (15.1) turret has slightly modified (and, as I discovered in doing the BMD-1, a touch more accurate) dimensions (and I used this as the basis for the BMD-1P and BMD-2). 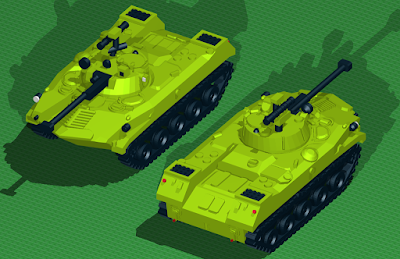 Next month will see the release of the T-62s, and then (all being well and subject to any commission work), the T-64 will follow in October.